Last weekend was a long weekend. 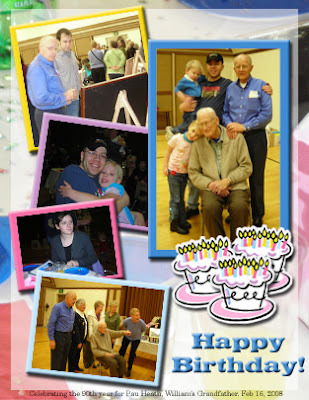 We went up to Salt Lake on Saturday to attend the birthday party for Will's grandpa- he's 90 years! 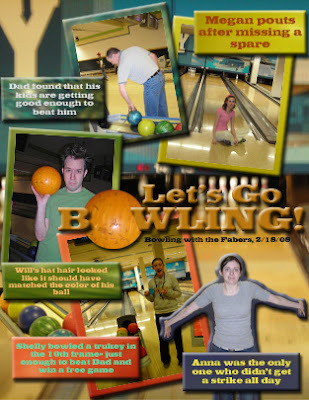 Then on Monday we went bowling because school and work were closed for the holiday. Birthday Fun. Click HERE if you are Mike and would like to see your 4-generation pictures. Happy Birthday, Will! Will turned twentysomething on Feb 4. He thinks he's old. I've found it futile to try and convince him otherwise. 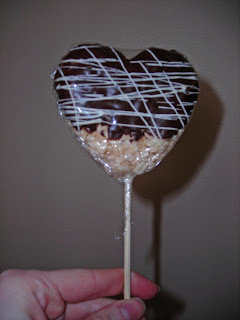 I found this idea for chocolate covered rice krispy treats, so I made heart-shaped ones on a stick to celebrate Valentine's day. I made about 4 dozen and we got to share them with family and co-workers. The picture above are the hearts waiting to be dipped in chocolate.